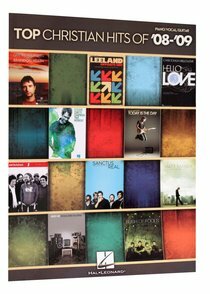 20 of the year's very best, from artists such as Jeremy Camp, Casting Crowns, MercyMe, Switchfoot, Third Day and others. Includes: By Your Side * Count Me In * Jesus Messiah * A New Hallelujah * Today Is the Day * Your Grace Is Enough * Yours * and more. About "Top Christian Hits of 08-09"